Notting Hill may be London’s most popular neighborhood. (Thank you, Julia Roberts and Hugh Grant!) But it really does live up to the cinematic hype. The whole West London neighborhood is abounding with creative, bohemian energy that’s no doubt fostered in part by the neighborhood’s iconic painted houses. 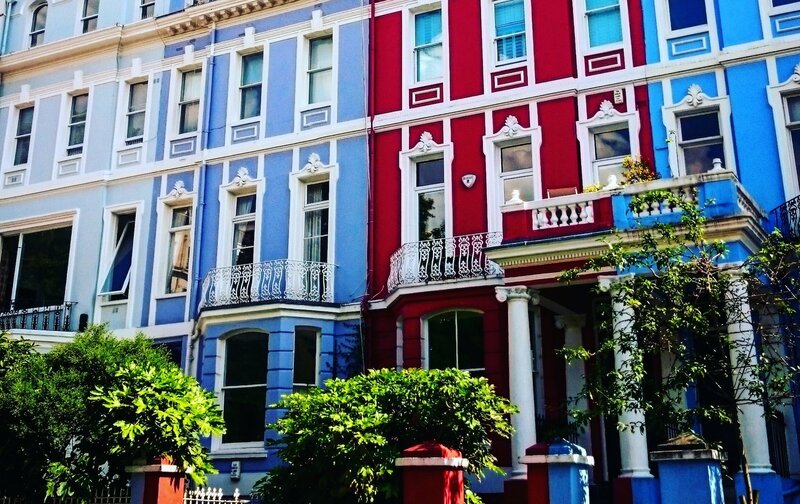 Here’s where to go to discover Notting Hill’s most colorful streets. Portobello Road is certainly Notting Hill’s busiest thoroughfare. 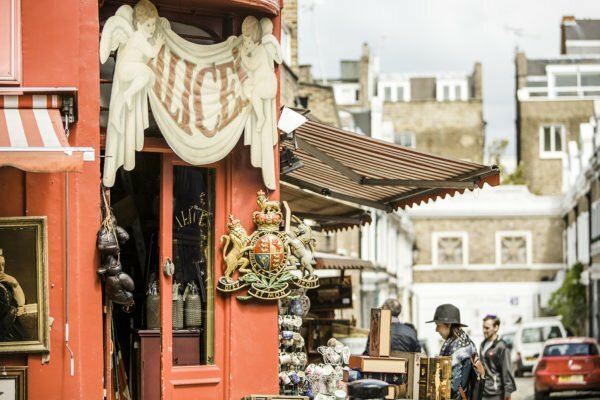 This is because on Fridays and Saturdays, most of Portobello Road turns into an eclectic street market, which you can learn how to navigate here. 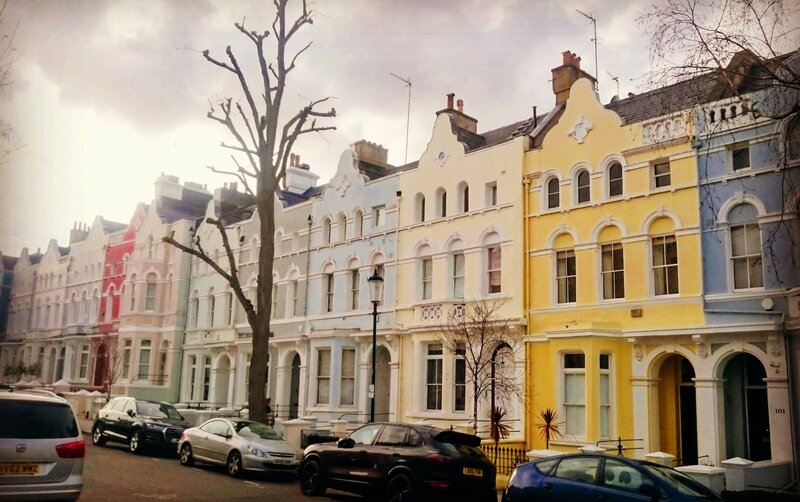 When Portobello Road Market is not taking place, the street can be best admired for its independent stores, charming cafes and of course, the painted houses. If you’re there to admire and photograph the houses, don’t go on a market day since it’s just too busy. Instead, head over at sunset for some truly stunning shots. 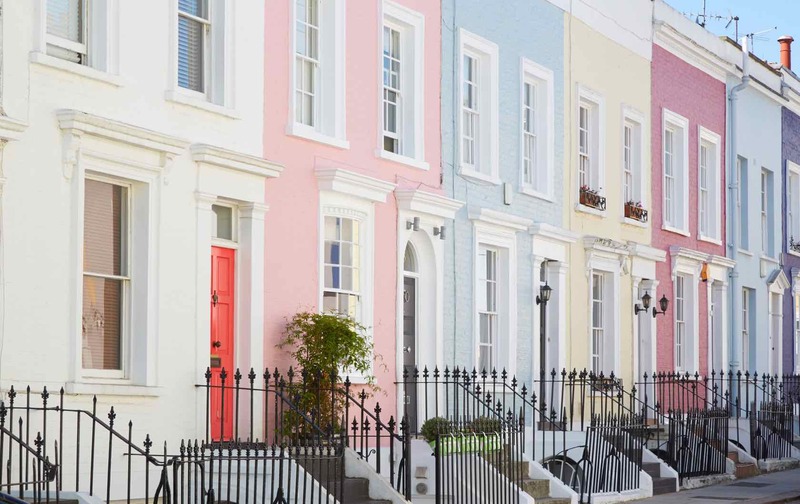 Don’t be afraid to veer off the main road, as some of Notting Hill’s most colorful streets can be found off the beaten track and on the small cobbled mews streets. And if you want to stay nearby this famous street, check out the one-bed, one-bath Leicester apartment. Featuring popping colorful décor of its own, this London Perfect apartment is just about as quintessentially Notting Hill as it gets. Photo by Fineas Anton via Unsplash. Mews—small side streets usually made up of homes that were once stables for horses—are some of the most highly sought real estate in London. They’re quiet and private, since they’re located on side roads, and they’re also ridiculously cute. 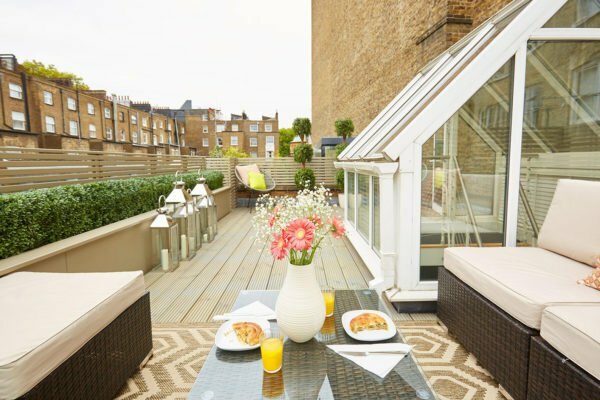 On your next trip to London, you should consider staying in one of London Perfect’s enchanting mews apartments. We have plenty to choose from all over West London, though if you’d like to stay in a mews in Notting Hill than the Danebury is for you. This two-bed, three-bath rental is located on a lovely mews that even boasts painted houses. 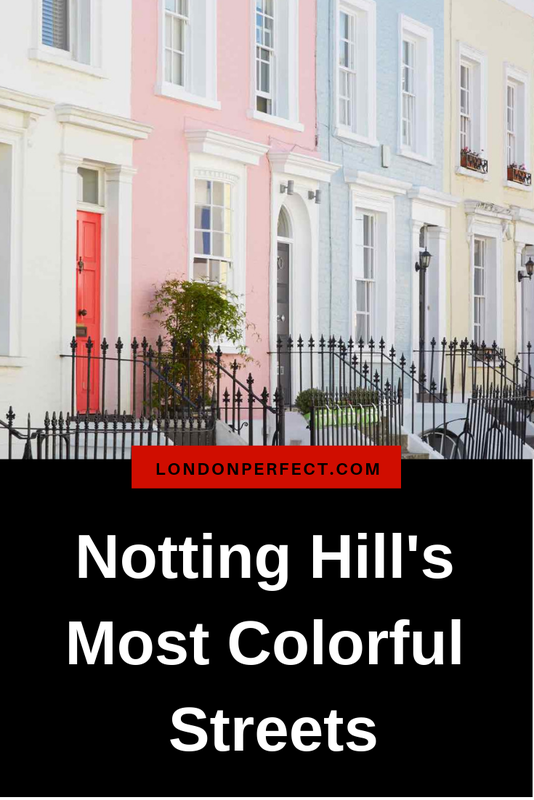 Many of Notting Hill’s houses are painted in pretty pastel shades. If you after something brighter, head east on Lancaster Road, right where it intersects with Portobello Road. It’s an Instagrammer’s dreamland of loud colors. The other good thing about this section of the street is that across from the houses pictured above, there’s a whole other row of painted houses. (Though the ones across the street are dressed in a more muted color palette.) Also, be careful when you’re photographing this street because it can get pretty busy with traffic and buses. There are more punchy colors to be found on Colville Terrace. 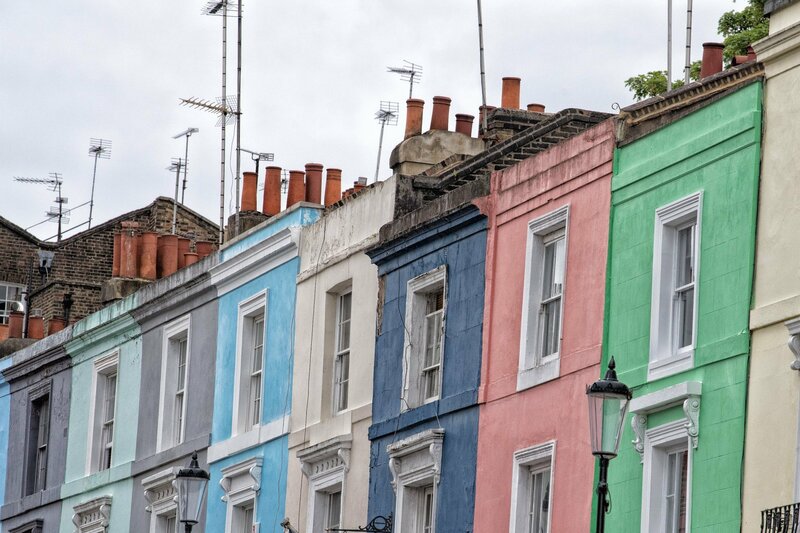 For more unusual colors, head to Colville Terrace, which is just off of Portobello Road. Toward the Portobello Road end, you’ll find this trio of periwinkle, tomato red and playful blue houses. As you move toward the other end of the street, toward Ledbury Road, you’ll find the colors soften and take on understated pastel hues. While you’re near to Ledbury Road, check out the cute shops. If you need a bit of coffee to recharge, stop at the sensational Ottolenghi Notting Hill, an uber-chic deli with incredible pastries. (And really, everything is good there.) Also nearby, you’ll find the relaxed and airy Granger and Co., which has some of the best breakfast you can find. But do go early—there’s always a massive line in front of Granger and Co. in the mornings. 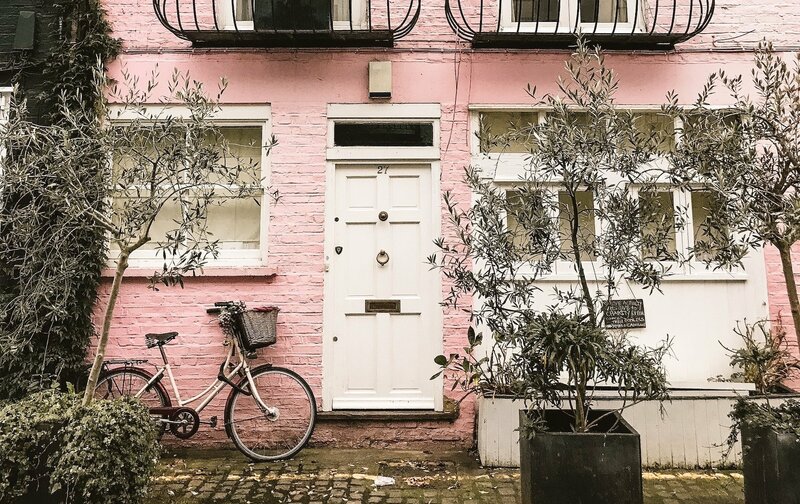 Notting Hill is an Instagrammer’s dream. What a photogenic street! On Elgin Crescent, each Easter-egg colored house seems prettier than the last. This street, connected by Portobello Road at one end and the affluent Clarendon Road on the other, features rows of connected houses that date back to the mid-1800s. Boris Johnson, the former mayor of London, used to be a resident of this street. Today, all visitors will be delighted by all the pretty colors and quaint and distinctive architecture. Also, in a slightly unrelated but fun note, there’s a great retro-style tiki bar called Trailer Happiness right at the corner of Elgin Crescent and Portobello Road. After all that walking, you’ve certainly earned yourself a drink! 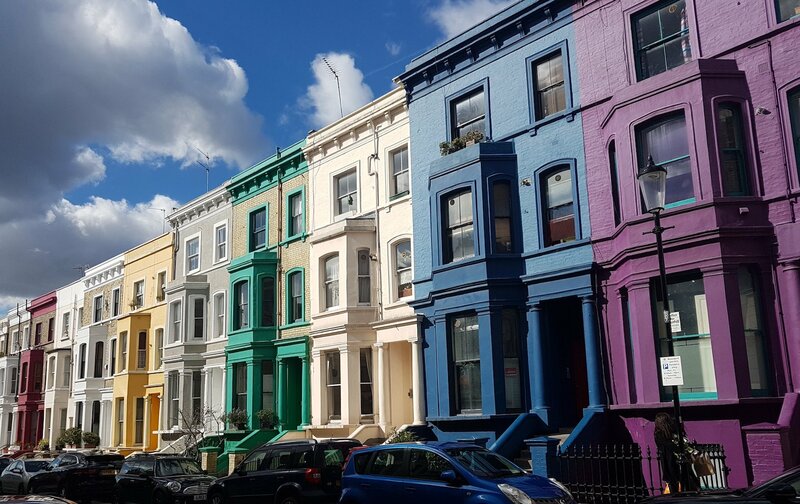 Tempted to see Notting Hill’s most colorful streets in person? Give us a call or email us today. Our London Perfect team can help you find a lovely vacation rental in Notting Hill or elsewhere in London. Posted on Monday, March 25th, 2019 at 4:56 am in See & Do. You can follow any responses to this entry through the RSS 2.0 feed. You can skip to the end and leave a response. Pinging is currently not allowed.